Do you like antiques, fragrant tea in collectible cups, quilts, and all things cozy? Including mysteries? Well, come on in, weary cyber-traveler. And welcome! I’ll put on the kettle while you explore. A little tea with your cozy? Check out my wee biography on the BIO page and a bit more about yours truly on the FAQS page. You can find a few writer hints there, too. And of course, read and/or sign up to receive my “now and then blog” – aptly named The Occasional Blog – by subscribing in the box on the right. Click on a blog title for a sample or check out the archives for past posts. Or follow me on the other links posted below. At the opening soirée, local matriarch Mary-Alice Wentworth is knocked unconscious and robbed of her diamond brooch. Soon a rare quilt—the main attraction and a rumored key to great riches—goes missing. What more could possibly happen? Can Thea sew up the mystery before it’s too late? Tempted? 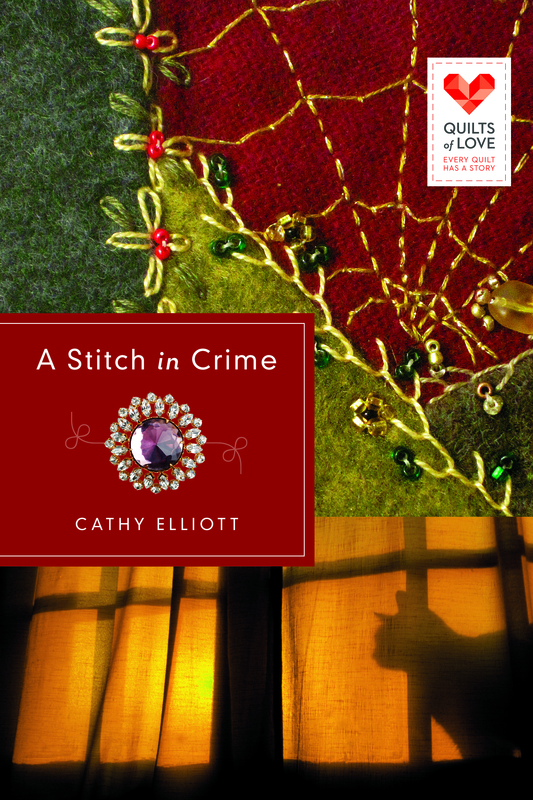 And I hope you will enjoy this cozy mystery – the final installment in the popular Quilts of Love series. Take a SNEAK PEEK & read the first chapter! Thanks so much for dropping by. You are welcome anytime.